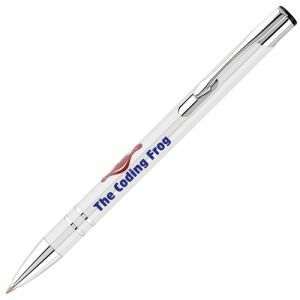 Are you looking for a fun way to get your company name or brand in front of more people? 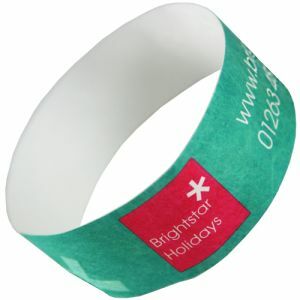 If so, our promotional wristbands are a great choice and most are manufactured here in the UK. 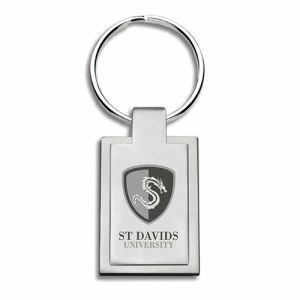 Made from a variety of materials, including silicone, nylon, vinyl and cotton, there’s no end of ways to get your message seen. 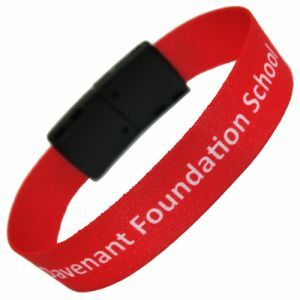 Advertise your brand at seminars, conferences, exhibitions, trade shows and festivals with affordably printed wristband giveaways, or even as a saleable item to raise funds for school PTAs, charities and more. 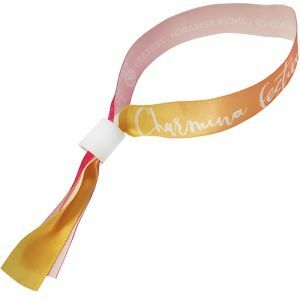 And with bright colours and even branded flashing light LED wristbands available, wristbands can definitely help you shine the spotlight on your business. 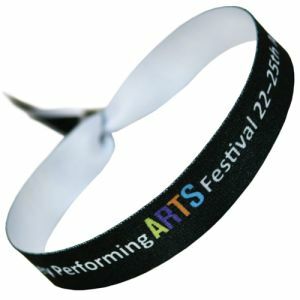 Promotional wristbands printed with an event logo or message can be used as an alternative ticket for admission into venues or private events, not only helping to improve security but having a dual purpose of both entry mechanism and on-going branding. 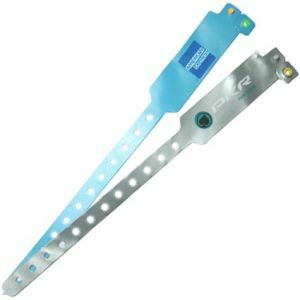 Why not issue VIPs or staff with different coloured printed wristbands, to help differentiate between types of guests and allow easy access between different zones? 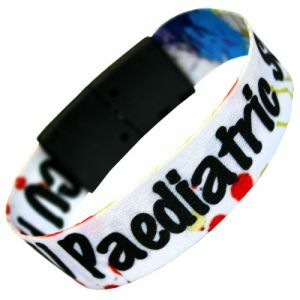 Fundraising wristbands help promote awareness of charities or other good causes as well as raising vital extra funds; they can also be used as a giveaway for signing up to a regular donation, as social media or competition prizes or in return for a one-off “collection bucket” donation which is far more effective in promoting your cause than a simple sticker. 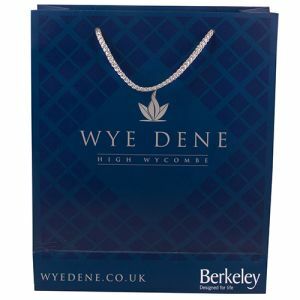 Include a printed wristband in merchandise bags for student open days, tradeshow visitors, or goody bags for awards dinner guests – and we’ve got lots of wristband styles to choose from. 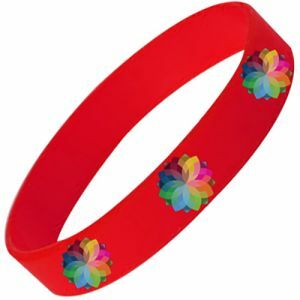 Adult silicone wristbands are best sellers here at Total Merchandise and it's easy to see why. 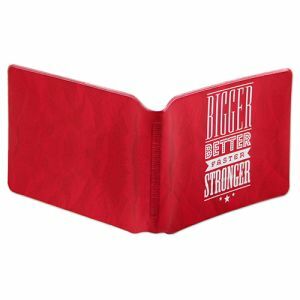 We offer pantone matching to your corporate or event colour as standard, with embossing, debossing or print onto the band all available, giving you the opportunity to create something completely bespoke and unique to your company or event. 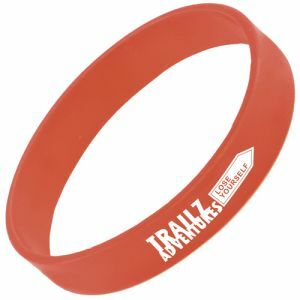 And if you’re in a hurry, there’s an express version of our adult silicone wristbands too! 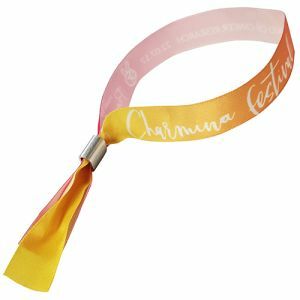 For festivals and summer events where entry is via wristband, our 15mm festival style fabric printed wristbands, Tyvek ID wristbands or vinyl ID wristbands are perfect; safely secured to prevent swopping between guests, they can only be removed by cutting off after the event. 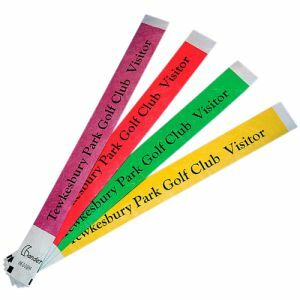 These are also great for hotels or resorts where ‘all inclusive’, half board or B&B guests can be distinguished by colour-coded wristbands. 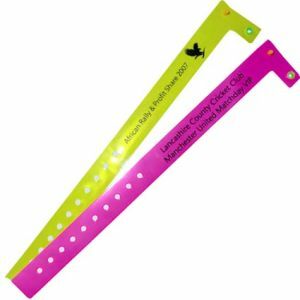 Night events, discos, parties and student union events will look even better with our glow in the dark silicone wristbands. 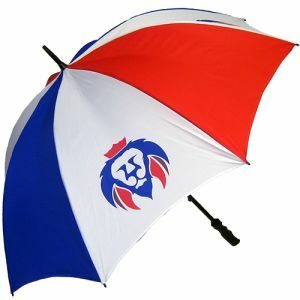 Available in both adult and children’s sizes, and as express items, these are great for Bonfire Night and Halloween fundraisers and events. 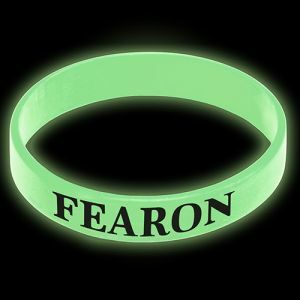 Glow in the dark green silicone wristbands can feature your logo or branding in print, embossing or debossing so there are plenty of ways to give your company stand out in a large crowd. 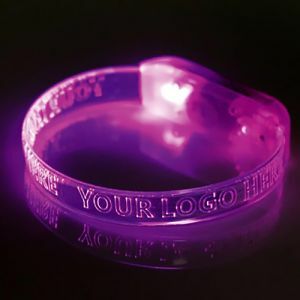 For even more nighttime standout, printed LED silicone wristbands with flashing white LEDs are perfect for walkers, joggers and runners, or engraved LED light up wristbands in clear plastic colours with three flashing light modes will get the party started. Are your target market outdoor enthusiasts, hikers, campers, holidaymakers, travel agents, cyclists, ramblers or climbers? 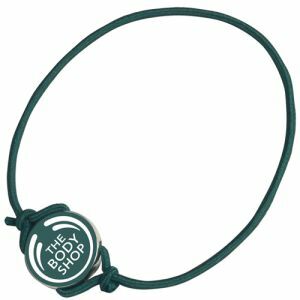 Then a promotional mosquito repellent wristband could be the answer. 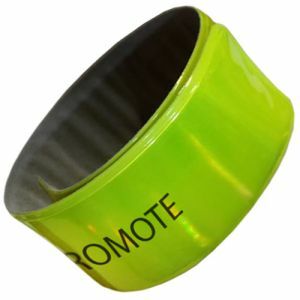 With Pantone matching to your company colour as standard and impregnated with a citrus scent to keep the mosquitos at bay, your company name will be on wrists day and night providing a valuable service that won’t be forgotten in a hurry. But let’s not forget the original sports sweat wristband. 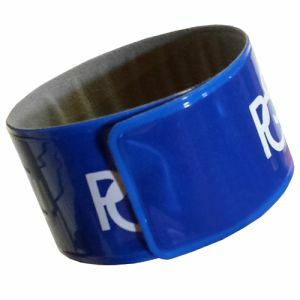 Our quality branded sports sweat wristbands are available in a wide range of cotton colours and can be printed with your company logo to ensure wherever your customers are playing their favourite sport or getting fit at the local gym, your name will be on display. 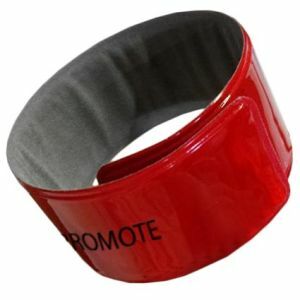 Walking buses, bike awareness and other safety campaigns for adults or children can all be promoted with reflective slap wrap wristbands. 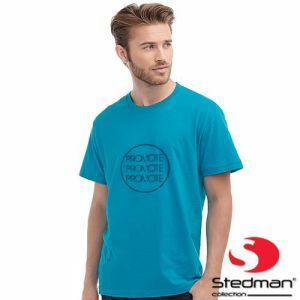 Available in 5 bright reflective colours, these will appeal to all ages and genders and align your company with safety, wellbeing and your CSR (corporate social responsibility) values. 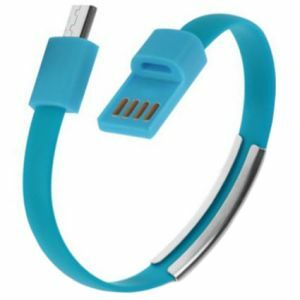 Keep executive clients and staff connected and ready to do business with an innovative wristband and USB drive combination. 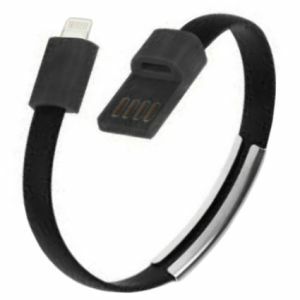 Our USB silicone wristband flashdrives mean data storage is always on hand - literally! Just choose your memory size when you place your order. 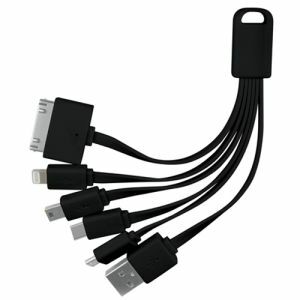 We also have micro USB adaptor and lightning USB adaptor bracelet versions that can connect to compatible devices. 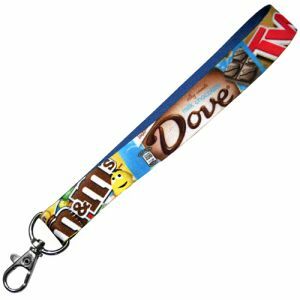 With so many promotional wristbands to choose from, you might need some help deciding which one is right for your company or campaign. Give us a call on 01376 509092 for help and advice.